Audiences are over 80% more likely to stop and give their attention to Internet content that contains a visual element. To capture the attention you deserve, consider incorporating visual elements into every bit of online content you post. Images help your audience receive, process, and understand your content more deeply. Including photography in your marketing materials means your audience will be able to easily receive and process key elements of your campaign including all messaging and copy content. Emotion plays a huge role in effective marketing and final sales. Photography invites readers to experience content on a level that digs deeper and gives them something to hold onto, and ultimately engages them in a way they weren’t expecting. Professional photography builds trust and a positive brand opinion. 40% of Internet users are more inclined to take action when imagery is involved and your audience is more likely to respond when brand messaging is paired with photographs. Content is more likely to be shared by your audience when it is visually captivating. If your top-notch photography is enough to draw one reader to your content, it’s enough for them to repost — and for each of their followers to repost too. Remember, it’s the images that catch people’s eyes when they’re scrolling through social media feeds so if it can catch one person’s attention, your company’s awesome photography will be enough to take off and snag everyone else’s as well. Chances are, you’ve worked hard to establish your brand through developing a logo and graphic standards, and you’ve probably worked hard to keep your company’s voice consistent and unique across all platforms. 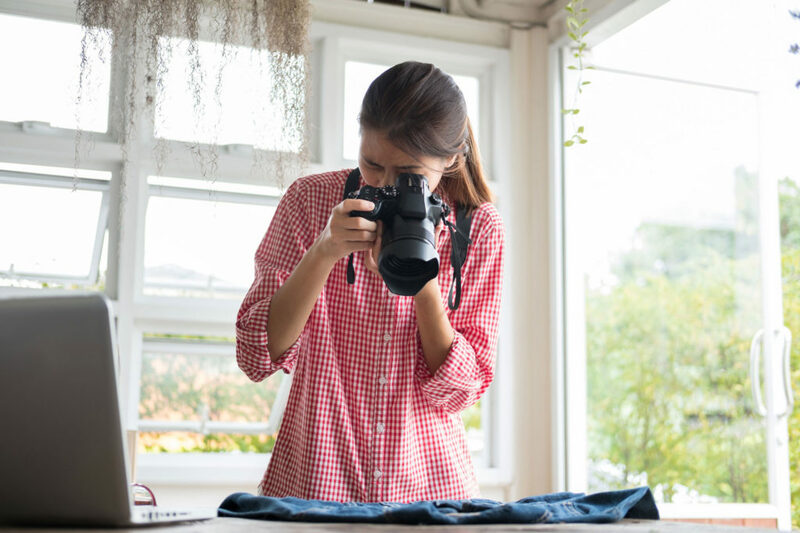 Add photography to the mix, and you’ve created the perfect way to increase a consumer’s brand loyalty. There’s a direct link between high-quality, consistent photography and increased sales. High-quality photographs can be exactly what potential clients need to see themselves using your products and services. It can be just the thing they need to believe in your company and its commitment to quality and consistency. It’s simple: when your photography is better, your sales increase. It’s an undeniable fact that photography can be a huge asset to any marketing campaign. If you aren’t already taking full advantage of its potential for boosting your business’s growth, you’re missing out. For more on photography, contact us.